Lumotive, the Bill Gates-funded startup developing LiDAR systems for autonomous vehicles, has launched a beam-steering technology which it claims will “significantly improve” the performance, reliability and cost of LiDAR systems for the emerging self-driving car industry. Initially targeting the robo-taxi market, Lumotive’s patented system uses liquid crystal metasurfaces (LCM) and silicon fabrication to achieve “unmatched levels” of manufacturing efficiency while simultaneously delivering unprecedented range, resolution and frame rate. RoboSense, a lidar perception technology solutions firm, has provided cold-resistant all-weather lidar for the world’s first autonomous driving shuttle bus. The bus, named Gacha, is equipped with RoboSense’s cold-resistant 16-beam mechanical lidar environment perception system for operating vehicles in harsh winter and other severe weather conditions. The shuttle bus was designed in collaboration with Finnish autonomous driving company Sensible 4, which provided software for positioning, navigation, and obstacle detection; Muji, which provided expertise in design and user experience; and RoboSense. Postmates has included Velodyne Lidar’s intelligent, versatile lidar technology in its innovative self-driving rovers for short-distance deliveries, Postmates Serve. Equipped with Velodyne’s compact, powerful lidar sensor, Serve combines autonomy and emission-free robotics for movement of goods in cities. Serve’s architecture includes Velodyne’s VLP-16 Puck sensor, which has been designed into the rover. The VLP-16 Puck is built into the top of the rover for a high-performance surround view, enabling Serve to detect people and objects as it completes local deliveries. ThorDrive, an autonomous vehicle (AV) startup, is introducing commercial vehicle services in the first of many pilots in the USA. The initial service, in partnership with Hassett ACE Hardware, will support selected residents and fire departments in Palo Alto, California, with plans to expand to additional pilots soon. The ThorDrive platform is using Velodyne’s lidar sensors to provide rich data content for its AV software. Valeo, one of the largest suppliers of automotive technologies, is showcasing its autonomous vehicle advancements at this year‘s CES. The French company says it already supplies “the automotive industry’s largest range of sensors”, comprising ultrasonic sensors, cameras, radars and LiDAR (Light Detection And Ranging) systems. These devices act as the vehicle’s eyes and ears. At CES 2019, Valeo will be unveiling the full scope of its expertise in autonomy and connectivity. Valeo says innovation is at the heart of its strategy. The company invested €1.9 billion in research and development in 2017, or close to 12 percent of original equipment sales. Valeo says its innovative technologies offer “clear insights into the shape of mobility to come” and are all conducive to the development of electric, autonomous, connected cars that are widely accessible yet adapted to individual needs. Valeo Voyage XR, which is able to simulate the virtual presence of a person – based in a fixed location – on board the autonomous vehicle during the journey. Valeo has conducted a number of “world-first” autonomous driving trial runs, including 24 hours around the Paris beltway and road trips around Europe and the US. The company says autonomous driving in dense and complex urban environments is “a major technological challenge that Valeo is tackling head-on”. The Group took to the streets of Paris for a first trial run in autumn 2018 and, later this year, its autonomous car will operate in the streets of Las Vegas. The global market for robot sensors is forecast to reach $4.5 billion by 2024. 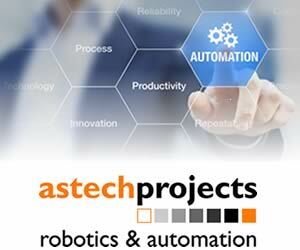 This is according to a new report on the robot sensor market by Global Market Insights which features the key industry trends across the product, robot type, application, and regional landscape. Sick has launched a new range of high-precision light detection and ranging sensors. With the launch of the LMS1000 and MRS1000 infrared LiDAR sensors, Sick says it has “raised the bar in high-precision, reliable distance sensing and ranging”. Alibaba, the world’s largest e-commerce company, has unveiled a new unmanned logistics vehicle. 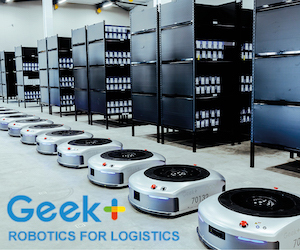 The “G Plus” was built in co-operation with Alibaba’s logistics business unit, Cainiao, and RoboSense, a developer of robotic technology. Autonomous vehicles aren’t science fiction any more. Top automobile firms and technology giants are working towards making self-driven cars commercially available by 2021. In the same way how IoT is revolutionizing the industrial organization, self-driven vehicles are revolutionizing the transportation industry, allowing people to travel safely and comfortably.